This unit consists of Aluminium Profile. Driven by LM Guide, Ball screw. Apilication : Pick and Place, Dispensing etc. 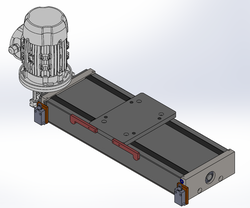 This unit consists of an Aluminum Profile with Hardened Shafts, which has internal Linear ball bearing that can adjusted for play. Driven by Guide Rod Timing Belt and Pulley. Application : Printing, Dispensing, Pick and Place etc. 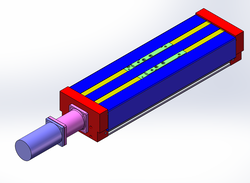 This unit consists of Machined Aluminium Plate with Hardend Shaft and Ball Bushing. This slide consists of Fabricated Plate Structure. Driven by LM Guide, Ball screw etc. 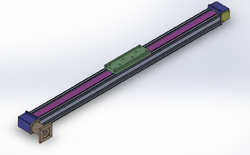 Looking for Linear Motion Slide Unit ?